MUTTER SLATER was the frontman, singer and flute player with STACKRIDGE who have gigged solidly for decades (300 plus gigs a year for three years in the ’70s) before calling it a day in 2015. The new album “Field Of Stone” reflects strongly his strength in writing blues, soul, R&B as well as melodic songs and the album brims with subtle guitar and rich sax. This is underpinned by a very tight band with excellent vocals from Mutter himself with a deep, clear and excellent tone. 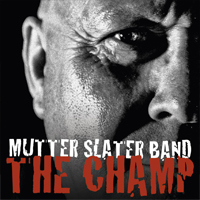 BILLY BRAGG said “Mutter Slater has one of the greatest voices of British Rock and he writes a mean song too”. When Slater is dispensing heavy truths and Chris Cleave is delivering mournful guitar lines, the sense of alienation is so strong that it's impossible not to wonder whether those stones, once gathered, could become material for the impenetrable obstacle of "There's A Wall" - a gloomily glimmering finale of a rather moody record. This is why affairs of the heart may be the only remedy our here and now need, so even though "Something We Knew As Love" - a sax-smeared and organ-oiled slice of soul - is stricken with reminiscences about better times, it's defiantly jubilant, as is the "Caroline Motion" whose punchy funk is bristling with brass - a pity Mutter's flute doesn't join the reeds' ensemble on this album - only to announce another death wish. Still, his voice fills the languid, "against the wall" resignation of "Losing It" with mellifluous acceptance, and the equally lucid "Love Is The Stranger" turns the optimism of Sam Cooke's "A Change Is Gonna Come" - Mutter's reference point - into murky perspective. As a result, spiritual sway would only be logical for "Folding" to roll towards screaming abandon and to the quiet understanding of "Weird Kid" which should let some country-kissed sunshine in. The latest addition to Mutter's impressive back catalogue mines a rich vein of polished melodicism, and devotees of his work in the past would be well advised to lend an ear to heartfelt creations such as 'Love Is The Stranger', 'Weird Kid' and 'Field Of Stone' itself. 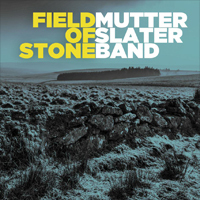 Field Of Stone is the Mutter Slater Band's latest album...Billy Bragg said of Mutter Slater: "He has one of the greatest voices in British Rock and he writes a mean song too"...Also available on Angel Air Records featuring Mutter Slater is the previous album 'The Champ' and 'Stackridge - The Final Bow, Bristol 2015'. This veteran performer is best remembered these days for his quirky exploits with prog rockers Stackridge almost half a century ago, but Mutter Slater has been blessed with one of the finest voices in British rock and he now has an opportunity to indulge his genuine passion for R&B, blues and soul via splendid albums such as this. The latest addition to Mutter's impressive back catalogue mines a rich vein of polished melodicism, and devotees of his work in the past would be well advised to lend an ear to heartfelt creations such as "Love Is The Stranger," "Weird Kid" and "Field Of Stone" itself.